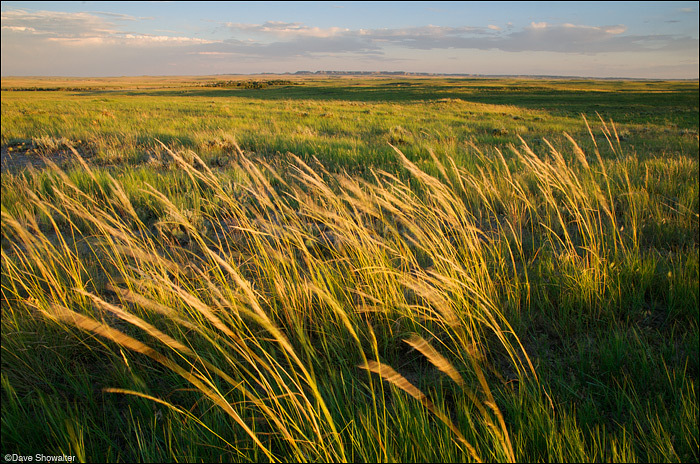 Canada rye grass bends in hot summer winds just before sunset on the grassland. An unusually wet summer painted the prairie in lush green, an illusion in the unyielding dry July heat. I made this image while on assignment for All Animals Magazine, photographing the first relocation of prairie dogs from private to public lands. Photo © copyright by Dave Showalter.